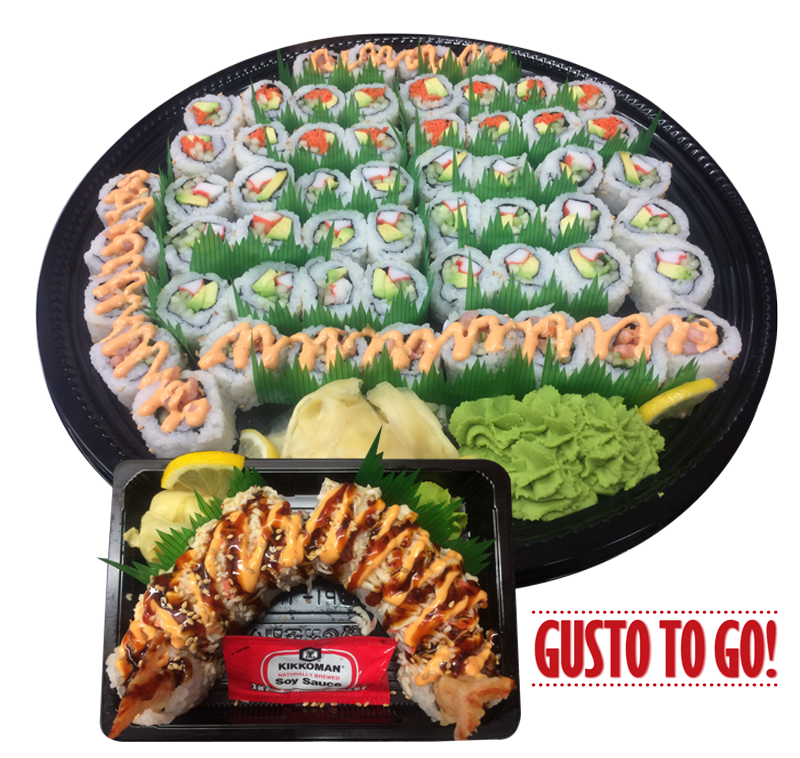 Sushi with Gusto offers an appetizing selection of sushi and other Asian-inspired choices, made fresh on-site each day by one of our sushi chefs and offered in convenient “to go” packaging. Our menu includes specialty items such as spring rolls, rice bowls and savory donburi bowls, as well as perennial favorites like our Dragon California Roll and our Spicy Tuna Roll. And, if you’re looking for something different to serve at your next event, our assortment of crowd-pleasing party trays are perfect for any occasion.